The monsoon winds blowing over the South China Sea billowed the sails of many junks departing from the shores of Japan and China with a course set for Southeast Asian ports. On the other side of Maritime Asia, the prevailing Indian Ocean wind systems blowing over the region from the Arabian Sea to the Gulf of Bengal facilitated maritime interactions between the Arab-Muslim world, Persia and India and the kingdoms of Southeast Asia. Arab, Armenian, Indian and other traders from the West linked the Spice Islands up to the trading system of the Old World. 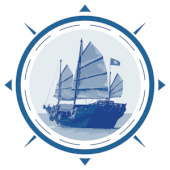 On the Eastern side, Chinese and other traders around the South China Sea likewise contributed to the exchange of produce, the migration of peoples and exchange of ideas, culture and technologies. In the sixteenth century, the Portuguese and other Europeans established links between the traditional medieval Asian nodal points of trade and the rest of the world thus ushering in the First Global Era. Via the Cape of Good Hope (founded in 1652 by Jan van Riebeeck), Asian goods were transported to Europe, but there was not much Europe could offer in return at this time except cash and technology. Throughout the history of Asia, its specific geographical conditions including coastlines, river systems and connecting seas have encouraged people to migrate and travel. Trading exchangesand commercial contracts followed in their wake. The seventeenth- and eighteenth-century VOC archives were generated in that world in flux. In part, they bear witness to the traditional flow of goods and migration of people, for example, the traditional export of Coromandel textiles and Bengal opium to Sumatra and Java. Maritime China and Japan had interacted with the rest of Asia since time immemorial. 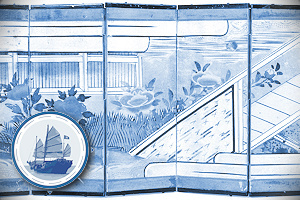 Japanese copper found its way to India, and Chinese porcelain to Java. Owing to the overseas trade restrictions imposed by the Chinese emperor Yung-lo (1360-1424) and his successors, the Dutch were able to occupy parts of Formosa (Taiwan) from 1624 until 1662 when Tsjeng Tsjeng-kung (alias Coxinga) conquered Fort Zeelandia. Various mainland kingdoms were traditionally connected to the Nusantara trade networks. During the seventeenth century, Java continued its traditional export of Javanese horses to Siam, while Batavian households (and perhaps those in other ports as well) still used large imported Martaban jars from Pegu in present-day Burma (Myanmar) as storage and transportation goods. 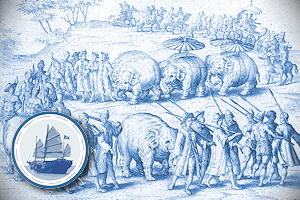 Batavia established direct trade with with Siam (Thailand) in 1604 and the north Vietnamese kingdom of Tonkin in 1637. In the seventeenth century, two large European cargo ships laden with Indian textiles could make a difference to the total Javanese import market. Not many Javanese consumers could afford such expensive textiles. Besides, the Javanese also produced cotton cloth themselves for making batik. Opium, traditionally imported from Bengal, tended to be an even more lucrative trade commodity in Southeast Asia . 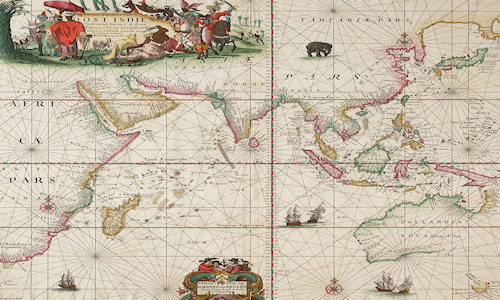 The Malabar Coast and Gujarat belonged to the trading world of the Arabian seas. This segment of the Indian Ocean had its own trade dynamics, owing to the rhythm of the monsoon winds. In Gujarat, Cambay was the most important port city and a centre of maritime trade in the western Indian Ocean during the fifteenth and sixteenth centuries. 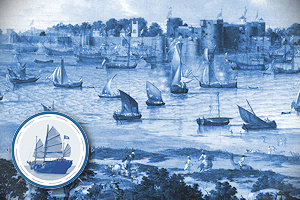 In the seventeenth century, the Gujurati port of Surat emerged as the greatest port of the Mughal Empire in western India. 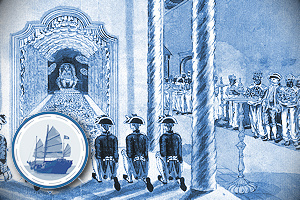 It played a vital role linking northern India with the maritime worlds of the Persian Gulf, the Red Sea, and East Africa. The old Arabian ports Mocha (al-Mukhā) in Yemen, Muscat (Masqat) in Oman and Persian Gulf ports of Gamron (Bandar ‘Abbas), Bandar-e Rig, and Basra (part of the Ottoman Empire) were all directly connected to the trading ports of India, in particular the Mogul port of Surat in Gujurat and the pepper ports of Calicut and Cochin. Foreign merchants, who included Arabs, Armenians and Jews all had their own quarters in these towns. 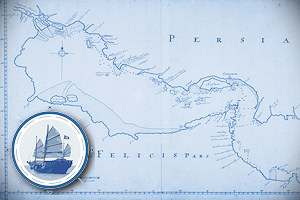 The ports of the Nusantara like Aceh and Pariaman (West Sumatra), and Banten and Jepara (Java), profited from this direct connection with the Arab world. 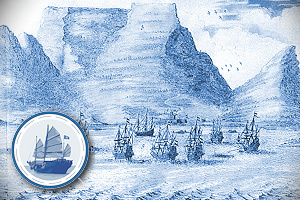 Fifty years after its foundation, the VOC established a permanent provisioning station, later Cape Town, at the Cape of Good Hope in 1652. Five years later, vegetable growing and cattle farming were privatized, leading to a greater influx of independent farmers, the so-called Boeren. This colony of free burghers expanded in the late seventeenth century and founded new settlements like Stellenbosch and Paarl. Settlements also expanded in the eighteenth century and four districts were created: Kaapstad, Stellenbosch, Swellendam and in the east Graaff-Reinet.